A universal characteristic shared by hotels is cleanliness and whiteness. Whiteness donates luxury and sophistication and it is associated with purity and relaxation. Induquim has created an innovative and exclusive washing system focused on treating hotel linen, sheets and towels that are constantly used and need special treatment. The Smart Resort® washing system cares for the fabrics treated to generate total wellbeing for your guests and gets the best washing results with maximum savings, profitability and efficiency. Moreover, it respects the environment thanks to its exact dosage, to the noble components that it is made of and to the absence of abrasive, caustic products. Micellar detergent that forms micelles that facilitate the removal of dirt and grease in the bathroom. 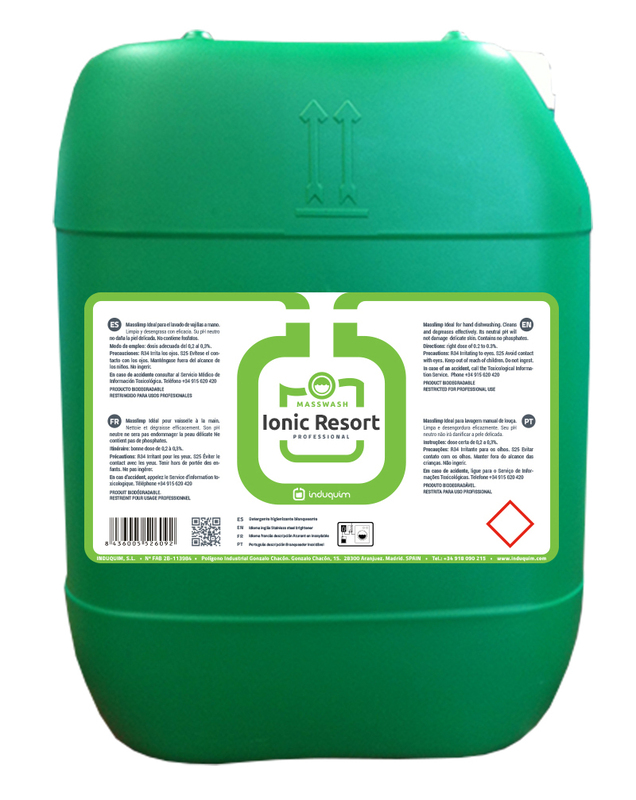 Oxy Resort is a stabilised peracetic so that the Smart Resort® system can also work at a high temperature. Total neutralising softener. Sanitising product that offers garments sponginess and volume that is appreciated from the first wash.